The Karate Kid remake came out over the weekend, and... we didn't see it. Probably never will. But at least it got me thinking about the original Karate Kid, which features one of the greatest one-dimensional villains of all time, Cobra Kai sensei John Kreese. 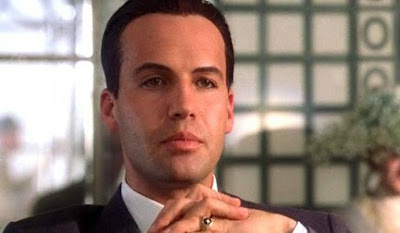 The guy is so ridiculously evil that I have decided to start this hall of fame in his honor. These are the antagonists that need no motivation. Their sole purpose is to be as big of a jerk store as they can be, thus making life miserable for any do-gooder they happen to come in contact with. For the sake of brevity I have limited my initial class to five, though I have no doubt missed some good candidates. Be sure to state potential cases in the comments and perhaps I will see fit to induct them in a future post. Profile: Upon returning from Vietnam, veteran John Kreese found himself a quaint little California studio and promptly banished fear, pain, and mercy from the premises. Thus the ruthless Cobra Kai dojo was born, a place where bullies-in-training can be themselves, but only if your name ends with the letter "y." (i.e. Johnny, Bobby, Tommy, Jimmy). 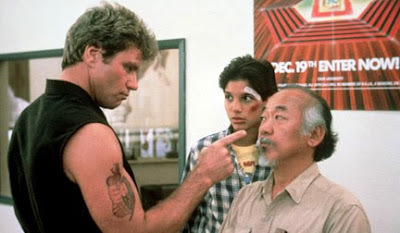 Comeuppance: After losing the respect of his Cobra Kai pupils and bloodying his fists on a pair of car windows, Kreese suffers the indignity of having his nose honked by Mr. Miyagi. "Sweep the leg. Do you have a problem with that?" Profile: A weasly, humorless inspector for the Environmental Protection Agency (is there another kind? ), Walter Peck shuts down the ghost containment unit against the dire warnings of pretty much everyone, causing an explosion. Then he has the Ghostbusters arrested, even though their unique services would be quite useful in saving New York City from all the "wrath of God type stuff" going down. 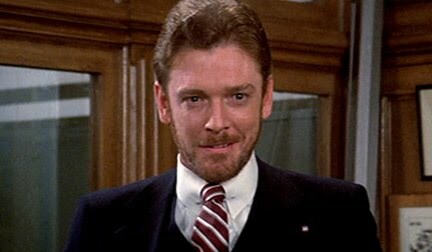 Comeuppance: Peck's manhood is questioned by ghostbuster Peter Venkman right in front of the Mayor of New York to humorous effect, then is later doused with a heaping pile of hot marshmallow. "These men are in criminal violation of the Environmental Protection Act, and this explosion is a direct result of it!" 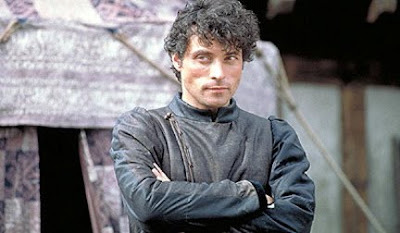 Profile: Count Adhemar develops an immediate disdain for rival jouster Sir Ulrich von Liechtenstein, which is rather silly considering he doesn't discover that Ulrich is actually William Thatcher, a common man posing as nobility, until much later in the movie. But when he does find out, you'd better believe his actions are cowardly and self-serving. Comeuppance: Adhemar gets knocked off his horse by Thatcher (who isn't even wearing any armor at the time), then has his own catchphrase used against him by Thatcher's companions in a dream sequence. "You have been weighted, you have been measured, and you have been found wanting." 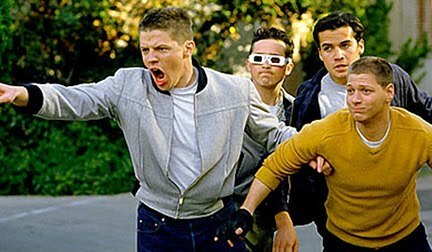 Profile: Descended from a long line of lunkheaded bullies, Biff Tannen loves to make life miserable for would-be sci-fi author George McFly (and his progeny). Over the years Biff has resorted to cheating off George's homework, banning him from popular diners, and checking his head for occupancy. Biff is especially fond of disparaging one-liners, though he always botches the punchline. Comeuppance: McFly knocks Biff out cold in the past, thus rendering him a fruity, track suit-wearing auto detailer in the present. "Why don't you make like a tree... and get outta here." Profile: Based on his appearance as a member of Biff Tannen's gang in the mid-1950s, it stands to reason that Cal (aka Match) hijacked the time machine at some point so he could travel back in time and make his fortune in the '20s. His wealth breeds arrogance and entitlement, driving his fiancé, Rose, into the arms of a pretty boy artist. One can certainly understand Cal's rage at discovering her unfaitfhfulness, but chasing her and her lover around the ship with a gun while it sinks, well, that's as one-dimensional as it gets. Comeuppance: Rose gives him the slip after securing rescue, and relegates his eventual suicide to her voice-over narration. "Something Picasso? He won't amount to a thing." A very impressive list to be sure. You continue to amaze me with your knowledge of movies gone by. I'm thinking about that weasly twirp in Independence Day. What was that dude's name? You must be referring to the Secretary of Defense, Albert Nimziki (yes, I had to look that up), who gets fired for disagreeing with pretty much everything President Bill Pullman says. Morale of the story: don't mess with Bill Pullman. I'm going with Stephan Lang as Colonal Quaritch in the highest-grosser of all time "Avatar." Or Sam Elliott as General Ross in the 2003 horrible "Hulk." Basically the exact same character. You could do an entire hall of fame based on bad Army generals. Yuck. I don't know if you ever saw "No Retreat, No Surrender," but Jean-Claude Van Damme could be on your list from this movie. He plays a Russian(?) martial artist who paralyzes a young man's father. It may actually be the only movie where Jean-Claude Van Damme plays a villain... On a side note, the young man is trained by the ghost of Bruce Lee so that he can avenge his father. I'm with you on the evil colonel from "Avatar." James Cameron movies deserve their own special wing in the hall. Do you have a Jean-Claude Van Damme movie for every occasion? I'm just a blog stalker that thought I'd say "hello". Wow, you sure know your movies. My kids right now are currently watching the original "Karate Kid". I told them I wouldn't take them to the new one until they did. I'm sure this first is much better.